Michael Tully’s third feature is a sweetly amusing ode to underdog sports movies like ‘The Karate Kid’ and the decade that spawned them. Even when they’re good, many coming-of-age movies these days seem to be of the noxiously self-congratulatory kind. They’re not that interested in offering insights into lives other than the audience’s own. Instead, they offer reassuring nostalgia trips, usually into the ’80s, reassuring all us 30- and 40-something viewers that the lives we once led were, in fact, the most interesting ones. But it’s useless to resist; collective memory is now the genre’s currency. 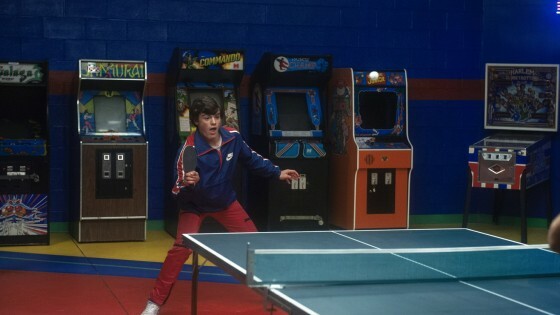 A kid is challenged to a table-tennis duel in 1985 Maryland. (1:32) NR. Empire 25, IFC. This sweet, offhanded but lovingly observed remembrance is a real kick. It takes us back to the way things used to be, especially for 13-year-old guys, and specifically in the arcade rooms of 1985, filled with upright video games with glowing screens and big-haired girls in neon. Newcomer Marcello Conte is in a Maryland beach town with his mom (Lea Thompson) and family when a bully challenges him to a table-tennis battle. This is meant to impress the girl they both like (Emmi Shockley). Susan Sarandon pops up as a former ping-pong champ, and a crew of pitch-perfect character actors make director Michael Tully’s movie a savvy valentine to the era of “No Retreat, No Surrender” and Mr. Mister hit singles. Here is the rare film that both celebrates an era and feels like it could have been made in it. As a nostalgia piece redolent of ’80s-era pop culture, “Ping Pong Summer” works better as an affectionate touchstone than fully realized movie. Written and directed by Michael Tully and filmed on location at Ocean City, Md., this summertime coming-of-age comedy possesses winsome charm and a sense for the artifacts of the age: cassettes, boomboxes, parachute pants and Jheri-curl activator. A chance to see Susan Sarandon as the Mr. Miyagi of table tennis and Lea Thompson of “Back to the Future’’ briefly reunited with a DeLorean are the main assets of Michael Tully’s mild tribute to the 1980s — the decade that just won’t go away…. There’s no doubt that Ping Pong Summer is someone’s childhood. It plays like a cherished memory, rosy and warm, rebuilt in miniature with such affection and detail it’s hard not to be moved by its sincerity. 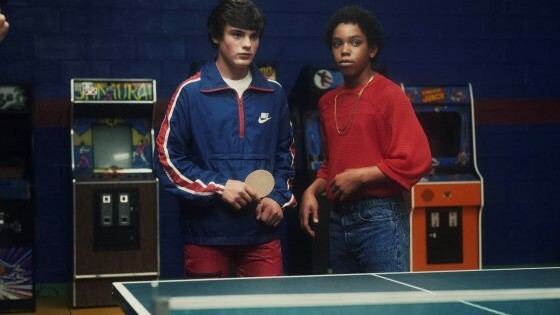 With “Ping Pong Summer,” director Michael Tully (“Cocaine Angel,” “Septien”) gives us a film about the childhood he remembers: summers in Ocean City, Maryland (where the film was shot), cheesy arcade games, pastels, Nike, and hip hop. Caught up in it all, Radford Miracle (Marcello Conte) searches for the confidence that promises adulthood. It’s the 1980s: These are harsh times in bland, touristy coast towns. With an exuberant eye for period details, Tully presents an ode to a time many recall fondly for its flare and schlock alike.